Step into a world where Indonesian and French design experiences fuse, creating an unparalleled unique and luxurious four stars getaway. Each villa’s interior furnishing design is tailored by local artisans, under the direction of a French designer. Relaxing in luxury is simple here. Wake up in the morning, take a step out of the premium, traditional-style bedroom, and relax in the sun next to your own private pool on a sunbed, or chill out on the couch in the fully furnished outdoor living room. 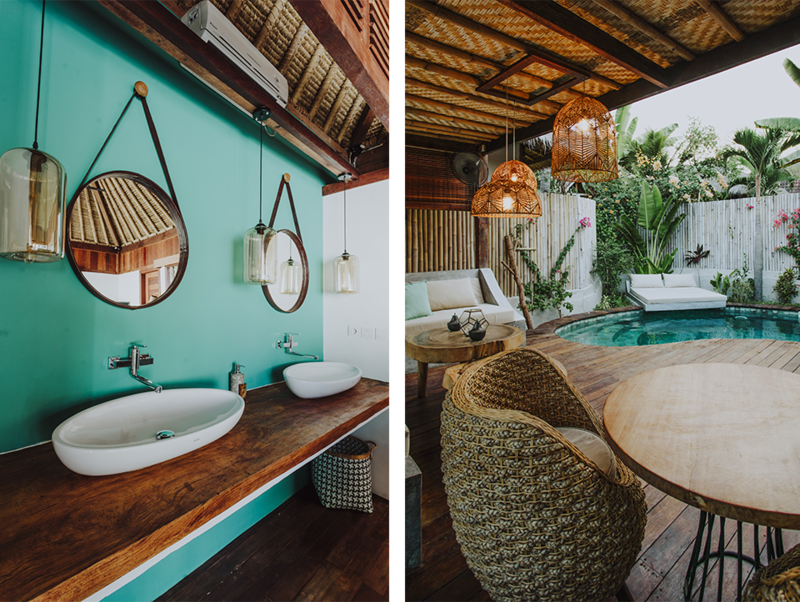 Experience comfortable style and unparalleled design at Majo Villas. Experience the best food on the island, only available at the Majo Villas Restaurant. Our menu is designed by a talented expatriate chef who possesses the extraordinary ability to transform high-quality, locally sourced product into even premium-quality, delicious dishes. We believe that a meal is not merely food, it is an experience. 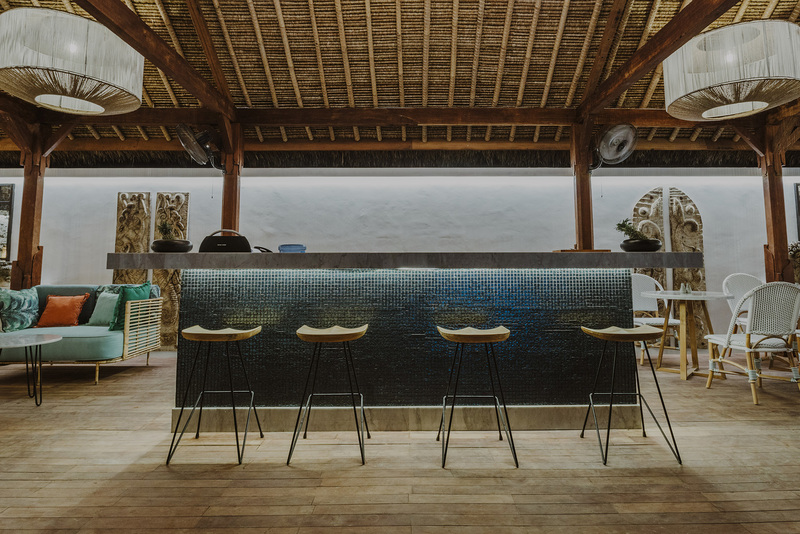 Like the Villas, the Majo Villas Restaurant is designed by Bali’s top French designer. While appreciating the detailed flavors of the dishes, the immaculately manicured, Euro-Balinese decor creates an atmosphere conducive to relaxation and natural conversation. Majo Villas is committed to living the dream and providing a seamless, luxurious experience, with just a touch of adventure. Allow us to guide your discovery of Gili Trawangan Island, living the local adventures with the Majo touch of quality. Nobody knows the island better than we do. Our stay here was like heaven. Every single aspect of the villa has been carefully thought about and was spotless. Everyone at Majo made us feel at home and were more than happy to help with all requests, including a special evening meal in our villa. The small extras such as free bike hire, fresh drinking water, welcome drink and tapas really made the stay special. Best accommodation we’ve stayed at on our trip to Bali and we’ll 100% be returning. I fell in love with this place. Amazing decor, everything done in the same - local style, you can see that every little thing was chosen with passion and is there for a reason. The most friendly staff & the owners ever. The best food, delicious food in Gili! Definitely coming back.